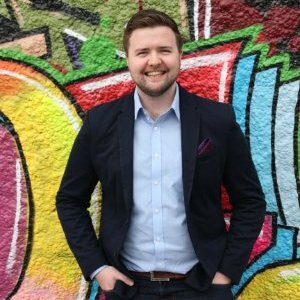 Our guest blogger this week is Aaron Chalke from IAB Ireland Agency Member, Mediaworks in Dublin. His blog piece is a great reminder of the strength and conviction needed in the creative process for agency staff and how trust is paramount in the agency/client relationship. My name is Aaron and I’m an ad-oholic. I’m addicted to advertising and everything that’s wrong with it. I work in advertising because I love my job. I love the thrill of chasing a new idea, selling this into our clients and the rush of seeing it manifest itself in the real world. The problem with all this? My industry (myself included), consistently compromise on creative ideas to the extent that by sign off stage, they are often unrecognisable from where they stood when initially proposed. Most people reading this know that advertising works, it sells more stuff and can be an incredibly important pillar to business growth and evolution. Advertising allows for the perfect melting pot of data, science and creativity to show their true potential. Done correctly, it can transform businesses, cultures and even the world. With such a unique opportunity as this, why do we repeatedly tiptoe into meetings with our cap in hand, ready to change every tiny detail based on feedback. Where is the conviction in our creativity and the real effect this can have? If we are employed for our talents, why are we so timid when it comes to backing them? I was fortunate enough to attend the Cannes Lions Festival of Creativity this year, an experience that was both inspiring and incredibly frustrating in equal measure. The best work showcased not only sold heaps of products, but were also a beautiful cocktail of clear insight, cultural impact and annoyingly simple yet clever executions. The work had a magnetic confidence about itself that made it utterly addictive. I feverishly scanned the exhibition halls, desperately craving my next fix of “wow” moments, drinking in the feast of creative brilliance on show. There is a trickling of Cannes Lions winning work from Ireland – this should be an annual avalanche. Creativity pulsates through our veins since the day we were born, flowing through agencies of every discipline week in, week out. There is no reason why we can’t collectively dominate at the highest levels of our industry. We must focus on bold creativity being the core purpose of what we do, nurturing its integrity and unique ability to work hard for our clients’ needs. At times, we see clients as the barrier to creative freedom, the hurdle we need to jump to get our idea off the ground. We pay little heed to the pressures they are under, forgetting that we’re a small percentage of their working day. We prepare for meetings like we are going into battle, arming ourselves with stats and trends – prepared for each eventuality on the boardroom battlefield. We’re delighted to emerge from meetings with just a few scars, as if trying to minimize our casualties. This is the underlying theme across a high number of client / agency relationships. It’s depressingly real and wrong in equal measure. What’s even worse is it is our own fault. It’s right that clients challenge our thinking, our work and our output. Just like a manager challenges their team, a teacher challenging students, we need this to make us better, keep us striving for higher. But this challenge shouldn’t be to nit-pick or pose deliberately unanswerable questions. It should be challenging our ambition. Are we being creative enough? Are we pushing boundaries? Are we going to make their competitors wrought with frustration? They should be challenging us to win a Cannes Lion. We’ve become so acclimatised to creative battles with clients that we’re surprised if there’s no pushback, no awkward questions or even worse – we witness enthusiasm from our clients. “What? They actually liked our idea?” How in the name of God are we going to do real, boundary smashing work if we don’t unashamedly believe in the power of creativity ourselves? We’re missing the vital ingredient of trust; trust from our clients and trust in ourselves. It is trust that a creative idea, built on sound insight and cultural relevance can actuallywork. It’s trusting that your agency does not have all the answers. If they are proposing ground breaking work – how could they? If it’s truly innovative, then it has never been done before. The client/agency team of Fernando Machado (Burger King) and Anselmo Ramos (DAVID) have a rule. They unashamedly “Trust Uncertainty”. They trust in the power of a good creative idea, knowing that they don’t have all the answers. This partnership together has fostered some of the industries stand out work including “Dove Sketches” and “The Proud Whopper”. When we’re operating collectively at this level, our meetings will resemble a training field more than a battleground. We will be consistently developing better, world-class work, scaling bigger challenges while trusting the unknown, unmapped landscape of creativity – together. If that’s what working our advertising industry really resembles, then pour me another one – I’m hooked. This blog post was originally published by Aaron Chalke on his Linkedin Pulse page.